When we can no longer care for ourselves like before or when we become more and more dependent on others for simple tasks, home care can prove to be an essential part of living. Personal Care Services MidSouth gives you the assurance that all your requirements to maintain health and wellness at home are given its due attention. 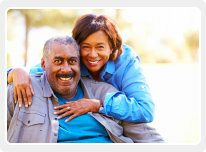 We leave no detail untouched; we provide a no–nonsense in–home care service. Our home care agency is committed to enhancing the quality of life for our clients and providing a viable alternative to living in a nursing home or long-term care facility. You can take your time in deciding which service will be right for your loved one at home. Because we specialize in home care services, we are confident that we will be able to meet the requirements of clients who are bound to home. Care services can be as dynamic as your changing needs. Ask us about creating a tailor fit plan of care when you call us at 901-443-1191.